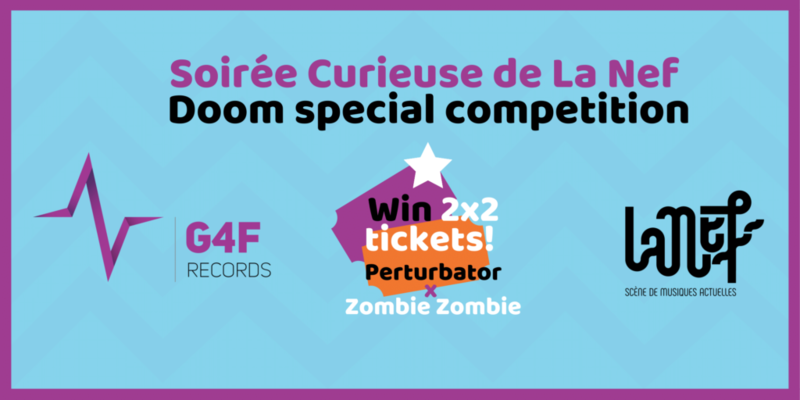 On Friday, May 25, G4F will attend the Soirée Curieuse de La Nef (Strange Evening at La Nef) dedicated to Doom with Perturbator and Zombie Zombie. This evening event is wholly dedicated to Doom, and G4F is inviting you to play this virtual reality cult game of the ’90s using the HTC Vive. 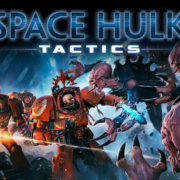 The opportunity to let off steam against demons in total immersion! Those who prefer something a little quieter can visit our stand and listen to soundtracks from our G4F Records label that specializes in video games. 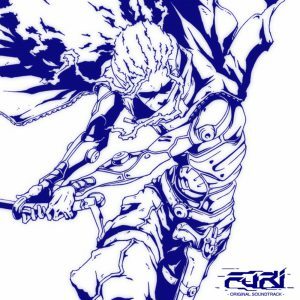 Furi’s soundtrack features the talents of Carpenter Brut, The Toxic Avenger, Danger, Waveshaper and Lorn. G4F is organizing a competition on Twitter and Facebook on Tuesday, May 22 to win 2×2 tickets for the concert. The two lucky winners will be drawn on Thursday, May 24. Take part in the competition via your preferred social network! Twitter: Like the launch tweet for the competition, retweet it and follow G4F Records. Facebook: Like the post, share it and follow the G4F Records page. The evening begins at 9 pm with the Zombie Zombie concert, the electro/krautrock band comprising Etienne Jaumet, Cosmic Néman and Dr. Schonberg, which was founded when Etienne and Cosmic met in 2006. The duo then decided to demonstrate their love of horror movies through performance, which inspired the band’s stage name. Their 2010 EP “Zombie Zombie Plays John Carpenter” is a perfect expression of their passion and re-interprets the great themes of the famous composer! Zombie Zombie continues to show the band’s enthusiasm for sound experimentation and analog synths, as confirmed by their latest 7-track album, “Livity”, recorded live in 7 days, with music bursting with energy that emphasizes their love of improvisation. It will then be the turn of Perturbator, the pseudonym of James Kent, a former guitarist in several black metal bands (I The Omniscient), who has produced retro-futuristic music since 2012. He was featured on the soundtrack of the game Hotline Miami the same year with “Miami Disco”, “Vengeance” and “Electric Dreams”, which brought him to the attention of a much wider public. Although his name may be associated with the synthwave, Perturbator is always eager to explore new musical horizons and to reinvent himself. His album New Model, released in 2017, was a dark cyberpunk work, industrial and very cinematic.